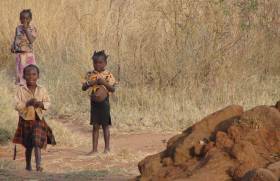 The rural areas around Chipata are very poor and have increasing issues each year as the climate seems to be getting drier and drier. The HIV/AIDS pandemic there has also created a number of orphaned children in the area. 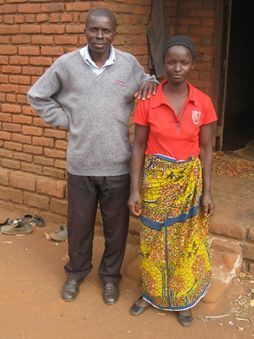 Churches have seen these issues and want to make a difference by teaching new farming techniques (through Foundations for Farming) and also by providing help for orphan’s education (school fees, uniforms and other requirements). Partnering with them creates opportunities to directly help the most vulnerable and facilitate change amongst some of the poorest of the poor. There are also still many new churches being planted in the area, as the current churches keep evangelising and leading many people to Christ. Lonard and Rosemary Daka, along with Norman Tonga, have been church planting in this area for more than 20 years. 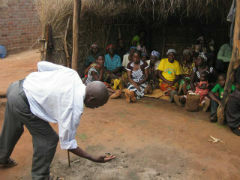 As the first church they planted at Mchacha developed it was swamped by vulnerable children and their guardians. They therefore started Chifundo Orphan Care (ZAM07b), to assist the children to go to school and help them in other ways. In 2004, Greerton Bible Church in Tauranga, New Zealand, and an individual family in their congregation began a partnership with Chifundo. This involved personal support for Lonard and Rosemary as the key people and the support of 50 children into school. It also involved the purchase of a motorbike to enable Lonard and Rosemary to move around the district to help the newly formed churches grow, to train them and encourage them. This project in Chipata is the direct result of that investment. 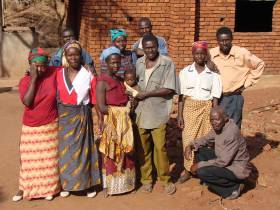 There are now more than 18 healthy churches in this part of the Eastern Province of Zambia. Almost every family in this area has had at least one orphan join their family. In 2007 BHW was asked to help with the establishment of this new partnership as a group of churches wanted to start caring for their orphans too. Lonard and Norman attended the Foundations for Farming courses at Maplehurst Farm in 2009. Since then they have been training many people in the churches, some by scheduled courses and others simply by talking and mentoring them. There have been increases in yields up to 500% in maize crops with those who have been following the methods well. With sadness, Lonard passed away on 19th January 2015 after a one-year battle with a stomach illness. Norman Tonga now carries on the baton for this partnership. Norman shows his commitment to church planting by bicycling up to 80km in a day with his wife on the back to visit a newly planted church. In early 2017 he was helped purchase a motorbike to assist with the church planting activities. 43 orphans and vulnerable children and their guardian families who are assisted with school fees and requirements plus the many other families who have been trained in Foundations for Farming. Norman Tonga is the leader of the partnership in the villages. He attended GLO Bible College in the early 1990's and then returned to this area to start working with the local churches. Norman is a good farmer, growing cotton and maize for sale, plus he has a bullock and cart as a transport business. He has a heart for Muslim people, and has been encouraged to see how the Gospel through Foundations for Farming has helped to convert people to Jesus. 1. The leaders of the four churches who have taken the initiative to do something significant. 2. The team from Chifundo who are assisting with the ongoing training and development of this group. The vision is to assist as many vulnerable children as possible so they get to hear the message of Jesus Christ, they get an education and their families are enabled to care for the children through Foundations for Farming. The strategy is to assist the children to go to school by paying their school fees and covering the costs of education in the short term until families and guardians are able to increase their household income through increased crop yields.